Curious about,how much to paint a room cost? There are three main things to look at when determining the cost to paint a room. Painting the average room yourself may cost around $100 for materials. Hiring a professional for the same room may cost around $300 – $400 for supplies and labor.Painting the room yourself is obviously cheaper than having a professional painter do it. The overall price for how much to paint a room changes with the quality of materials also. Whether you plan or hiring a painter or doing your own painting, it’s always best to go with quality painting materials. Quality paint makes all the difference in appearance and coverage.I find even good quality brushes make the job easier when painting. Buying cheap materials will only save you a few dollars per room when adding up the overall cost. Measuring is the best way to determine how much to paint a room.Even if you choose to have a professional come in,I would still suggest you measure it yourself. Measure the width and length as well as the height of the walls to determine the size of the area for painting. Painting the ceilings and trim also add to the final cost when calculating how much to paint a room. The average room is 10 x 12 and generally needs 2 coats of paint.High end paint from a specialty store can cost over $80 per gallon. Even the best paint from home depot can cost around $60 per gallon. I suggest shopping at professional paint stores for good quality paint. Professional paint stores quite often have good sales on paints and supplies. Paint stores also have 1 line of paint that most contractors buy which is very good quality and economical and is available for anyone to purchase. Very bright colors can look great, but usually need a good primer first, this only applies to very bright colors. I knew someone that chose a very bright red and didn’t use a separate primer and gave the room 5 coats or paint before realizing the mistake. 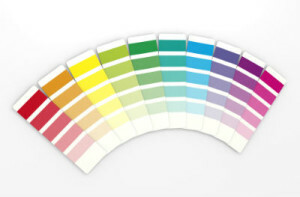 Make sure to ask your supplier or painter about using very bright paint colors. Some stores refer to these tints as neon color tints. These super bright colors are usually kept separate from other general paint swatches. I would use a red primer prior to painting a room neon red for example. Painting the trim can be difficult for the average do it yourself person.The trim is usually painted after the walls and requires lots of painters tape. Sometimes I find it easier to paint all the trim first and then cut in the walls with a good brush after.The average room requires 1/4 of a gallon for the trim.This includes all the baseboards and casings.Painting crown molding can add to the final cost. The total time to paint a room is usually less than 6 hours for the average do it yourself homeowner, however professional painters will complete the same room in 2 hours. Most painters charge around $1.50 per square foot for painting walls. Ceilings are always extra,especially if your are removing popcorn ceilings.To paint ceilings average $1.00 per square foot.All the prep work usually runs $25 – $30 per hour to estimate for painting a room.To paint the trim is usually $1.50 per linear foot. Most rooms require minor prep work before painting which doesn’t add much to the general cost. Generally the more prep work that is needed before painting a room the higher the overall cost will be. Wall stencils have become pretty popular lately. There are some pretty cool new designs for covering a wall in any room nowadays. The days of old wallpaper seem to be gone. During my painting days I had to remove some really old and ugly wallpaper. This new wallpaper design can look quite good if done right. Dark tints usually cost slightly more than white tints. Bright neon paint colors tend to be the most expensive. Quite often homeowners need a little help to pick the right colors for a room. I have other pages to help with picking the right colors for your room here. Try out some small test colors first before you start buying gallons of paint.This method will help with picking the perfect paint colors. Avoid the cheap job quotes. I always tell people to avoid the cheapest painter.Cheap painters usually do terrible work which leads to unhappy customers. The cheapest painter quite often doesn’t completely finish most jobs also. Most cheap painters can start right away which is usually a bad sign for the home owner. It is always worth it to pay the little extra when hiring a professional painter. If only the walls need to be painted with the same color the average room can only cost $200.Painting stairways and railings can be extra make sure you know before hiring someone exactly what is covered in their quote. I suggest to really shop around for interior room painting rates. It pays to get informed from several sources on interior painting rates. Hopefully this has helped you get a better idea about some various price costs on how much to paint a room. Click here for several other pages to help you with painting your house.There are some great pictures on pinterest to help with how much to paint a room. This should help you determine how much do painters charge to paint a room. Here are some additional links, that will help with the actual cost to paint a room. I have more information on the cost associated with painting a room yourself here. Here are some more guidelines for having a professional paint the average room. Painting over fresh and smooth repaired drywall. I personally like using Dulux paints and general paint. Try using a paint a room simulator which can be found at most online paint suppliers. Most home owners simply want to know how much a professional painters charges to paint a room in a house. Professional painters typically charge $300 to $400 per room. Most painters charge $1.50 to $2 per foot to have a room professionally painted.There can always be added cost of things like moving furniture or replacing drywall.Painting ceilings and trim is extra as well. Be sure that you understand what is and what is not included in your painting quote. The cost of painting a room is going to start around $200.If you decide to paint the room yourself the cost for painting supplies starts around $60.The average 10′ by 12′ room generally cost $300 to $400 done by a professional.The same 10 x 12 room painted by a diy person would cost about $125 for supplies. Some rooms are harder to paint and cost more. Vaulted ceilings cost more.painting around stairs can be tricky. Painting kitchens can be pricy. If you plan on painting kitchen cupboards expect to pay a little more. If you have very high ceilings the price will be higher also. Finding good honest painting estimates can be easy. The average room at 10 x 10 will start around $200. I always suggest to ask family and friends first for reputable honest painters. Realtors and other contractors usually know of good painters also. It pays to ask around, trust me. When painting a room a new color I always suggest trying sample colors first. Places like home depot carry the best selection of sample colors and then can even color match the paint samples. This way you can make certain about the paint color selection before buying gallons of paint. Some fireplaces can be painted with certain kinds of paint. Painting around fireplaces can make a big difference in the appearance of a room. A fireplace should be the focal point of a room, painted with the right colors can increase the value of a home. House painting has always been a cheap home renovation.For the most part painting is fairly inexpensive for most home owners.If you plan on hiring a professional contractor, the cost can really add up.Hopefully these pages will help some home owners make the right decisions when hiring a contractor for home renovations. The best way to keep your painting cost low is to do it yourself.Painting a room can be fun and easy.Simply go get yourself some basic painting supplies and start painting.Painting a room by yourself can be done for under a $100 sometimes. I noticed there are more stores coming out with so called one coat paint. I personally think that no matter how good the paint one coat will always leave visible marks. I always suggest 2 coats of paint for every room. When you add up the actual cost of paint, 2 coats looks so much better and cost very little more. When it comes to renovating your room, take your time and shop around for prices. Kitchen renovations cost more than any other room in your house.Bathroom renos are generally the second most expensive. If you plan on hiring a professional ask the contractor several questions. Shopping around for the best prices is good advise when it comes to renovating any room. There are many ways to remodel any room. Painting is usually the cheapest way to remodel any room. Sometimes changing a light fixture can also make a dramatic difference when remodeling. I find repainting the trim in any home can really clean things up. Adding wall hangings can also dress up any room instead of painting. I have even suggested some homeowners ask for a free estimate from an interior decorator to help save on your overall painting cost. There are countless ways to consider bedroom renovation ideas. When it comes to renovating any room the first thing to consider is your budget. Painting any room is generally the least expensive bedroom renovation. Replacing the light fixtures in any room can make the most dramatic difference. Sometimes adding crown molding or replacing the baseboards can be a great renovation idea tip for any room you paint. I have found that painting around stairs can be hard for do it yourself home owners. Tape is always a good idea when painting around stairs. I have also found that when painting around stairs that have carpet, it is fast and easy to use a drywall knife or putty knife for pushing the carpet back for painting which should help with painting certain rooms. The average rate for painting a room by a professional painter is usually around $200. Some contractors charge by the square foot which is usually around $1.50 to $2 per square foot. I have had several homeowners ask how to charge for painting a room. When adding up the cost of painting, there are several things to take into consideration like windows and doors or ceilings. This general price guide of painting should help with calculating your overall painting cost. There are several big paint suppliers that offer virtual online painting for a room. I have tried a few, but I prefer to go buy small samples of paint from the big hardware stores for testing. I also found something on HGTV if you are looking for more information on how much to paint a room. I have always used two coats of paint to paint any room. There have been a few times where I was able to only use one coat of paint. Paint a room with the exact same color can be repainted with only one coat of paint. I generally use a 13 mm roller sleeve which holds and distributes a heavier coat of paint on the wall. Even with these new one coat paints on the market today, I still prefer to use 2 coats of paint for the best finish. Some homes are over 100 years old and require different techniques for redecorating a room.There are more people who wish to have a certain room looking like they did in the early 1900’s.When it come to pricing out special renovations the actual cost to paint a room could easily be twice the average cost nowadays.Be sure to check with all contractors on the price on special renovation jobs.